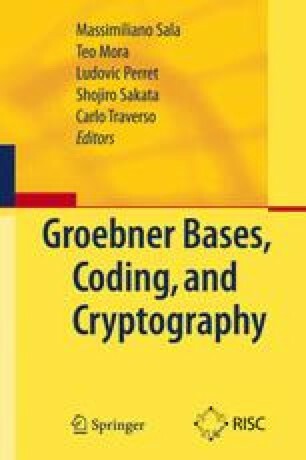 This paper summarizes most of the main developments in the cryptanalysis of multivariate cryptosystems and discuss some problems that remain open. A strong emphasis is put on the symbolic computation tools that have been used to achieve these advances. J. Patarin, Challenge HFE, http://www.minrank.org/hfe#challenge, 1998. J. Patarin, L. Goubin, and N. T. Courtois, SFLASH, a Fast Asymmetric Signature Scheme for Low Cost Smart-Cards, https://www.cosic.esat.kuleuven.be/nessie/workshop/submissions/sflash.zip, 2000.